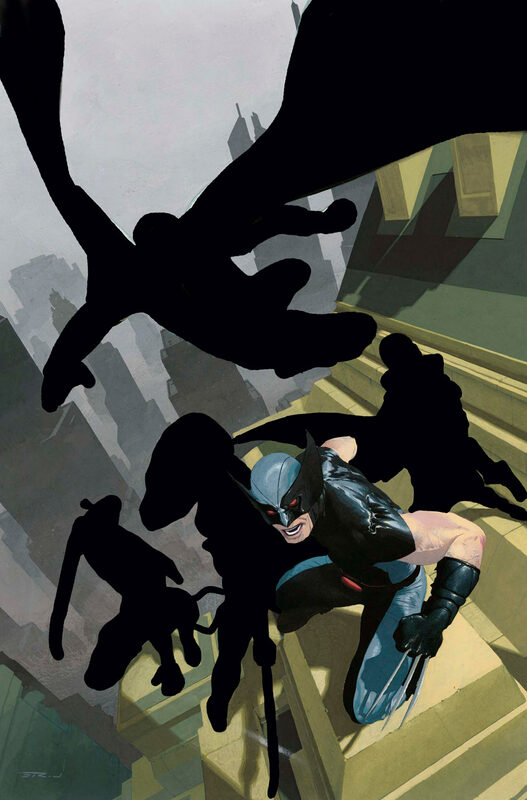 The Chicago Comic & Entertainment Expo, C2E2, went down this weekend in the Windy City. There was a lot of news from all over, but below are the things that stood out to me. 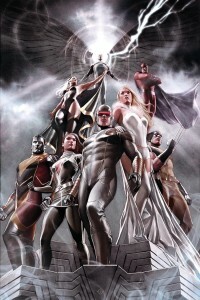 The teaser images released last week were to showcase a new ongoing series simply titled X-Men coming in July. An interview with writer Victor Gischler and artist Paco Medina reveals that the book is intended to show the X-Men integrated in the Marvel Universe via guest stars team ups (possibly explaining the inclusion of Spider-Man, She-Hulk, Blade and Elektra in the promos). The first arc involves mutants vs. vampires. Accompanying this announcement was another great Adi Granov image featuring a number of X-Men mainstays and word that Uncanny X-Men and X-Men: Legacy aren’t changing anything other than art teams. Of course, this could be to avoid spoiling anything in Second Coming. 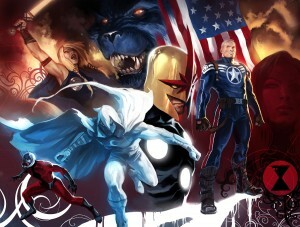 Speaking of mysteries, the full line-up of Ed Brubaker and Mike Deodato’s upcoming Secret Avengers series was revealed. I managed to guess some correctly, others not so much. Featuring an espionage theme and characters spanning the Marvel Universe (Steve Rogers, Sharon Carter, Black Widow, War Machine, Ant Man, Beast, Nova, Moon Knight, and Valkyrie), I think I’m definitely in for this one. Plus I’m a huge fan of Beast. 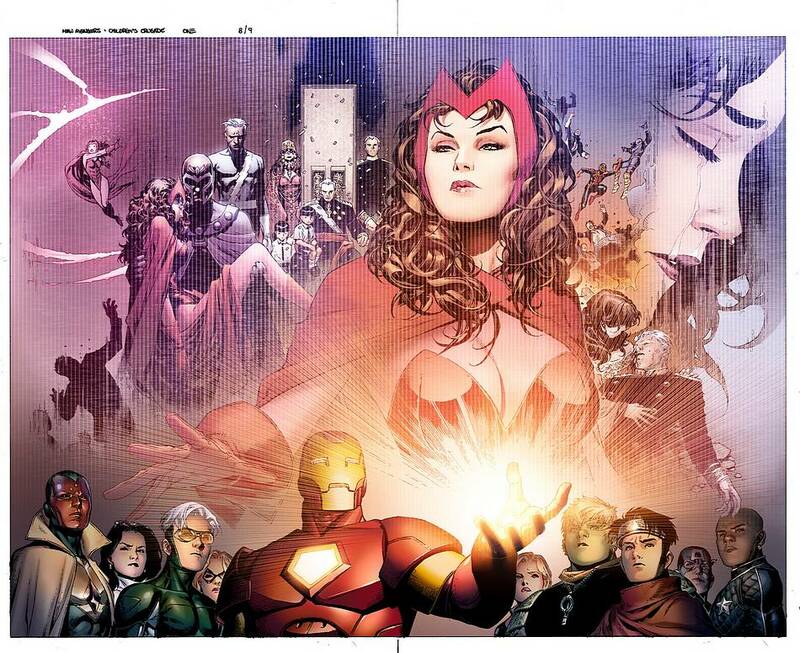 This new project announced from Young Avengers creators Allan Heinberg and Jim Cheung probably has piqued my interest the most. Avengers: Children’s Crusade involves the Scarlet Witch, her children and the Young Avengers, House of M and at least Magneto if not the rest of the X-Men. The book is slated to begin in July. yaaaaaaay more number 1s. exactly what we need. though of course i’ll try them out! The new X-Men #1 baffles my mind. 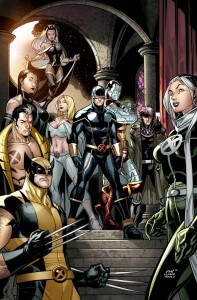 Marvel launched an X-Men series with a #1 issue in 1963 by Stan Lee and Jack Kirby, 1991 by Chris Claremont and Jim Lee, 2004 by Joss Whedon and John Cassaday and now in 2010 by Victor Gischler and Paco Medina. One of those doesn’t fit with the others. Sure there have been plenty of other ancillary X-titles launched over the years, but having X-Men as the title just makes it seem like it should be a bigger deal than it’s shaping up to be.